Born in Birmingham, England to a struggling musician Natalie spent her childhood touring the UK with her Dad’s band. At age 13 her family moved to Canada where her own career in entertainment took off, appearing in over 100 episodes of Canadian Television and being nominated for SIX ACTRA awards. All hope of a sensible accent was lost when Natalie moved to New York, and then L.A., where in 2005 her foray into stand-up led her to enter and win Best Comic in L.A. Her unusual childhood sprouted the first storylines of her stand-up, but what act isn't complete without a failed relationship and a suicide note? Natalie has brought her comedic voice to eleven states and three countries, performing for the Canadian and U.S. troops, including a benefit at Miramar Naval Base in San Diego at the legendary Bob Hope Theater. Her edgy and intelligent brand of humor brings a thought-provoking and hilarious look at our lives as she gracefully dances between funny anecdotes as trivial as communicating with her deaf cat, men's grooming, and why we give gifts to newlyweds, to stark revelations of dark times of depression. Natalie has performed at The Laugh Factory in Hollywood, The Icehouse in Pasadena, performs frequently at The World Famous Comedy Store, is a paid regular at The World Famous Hollywood Improv and The Downtown Comedy Club in Los Angeles where she is a popular headliner. She has appeared on FX Networks, MTV, NBC and her comedic segments on E! Entertainment Television air constantly in the U.S. Natalie’s stand up tapings at the Halfax Comedy Festival aired nationally on CBC Television, and she was profiled by Piers Morgan on Piers Morgan On Hollywood which aired repeatedly in the U.K. 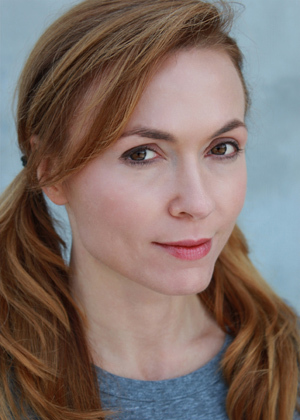 Her scripted comedy pilot No Talent Required screened at the Miami Women’s International Film Festival and is currently in development in L.A.
Natalie is now in the U.K., bringing her stand-up voice back home. 2005 Winner, Best Comic in L.A.